Usually when people think of inventions that have made a major impact, they name ones like electricity or the automobile or the washing machine. All great ones, of course, but sometimes we should also stop and give acclaim to the small inventions that make a difference in our lives as well, right? Among them, for me, is the sippy cup. Where would moms be had someone not realized just how convenient it would be if there was a way to keep a child's drink from spilling out all over by placing a lid on top? Around here we have tried sippy cups from a vast array of brands, in sizes big and small. Some have held up and have become favorites of both the kids and I and some... went out into the garage sale. Whether the girls just didn't like them or they leaked or they had too many complicated pieces, it seemed that the only way to know for sure was to try them all out. 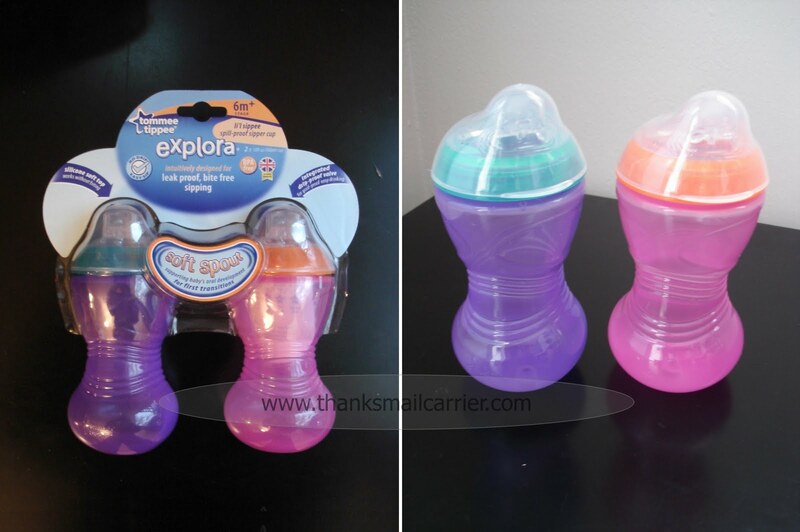 Having had the opportunity to participate in a Tommee Tippee review back in February with their Truly Spill Proof Trainer Cups, we were happy to hear that we were now going to have the chance to try out their L'il Sippee Drinking Cups to see if they provided the same positive results. Designed with a soft spout to support a baby's oral development while transitioning to using a cup, the L'il Sippee Cups are made for ages 6 months+ and are intuitively styled for leakproof, bite-free sipping. Although Big Sister E and Little Sister B were a little old for these cups, they both were just as eager to try them out as I was to see how well they worked. Right away I liked that they were BPA- and phthalate-free and that the easy-grip shape allows for little hands to grab and hold these cups without problem. The addition of the snap-on cap is a great feature as well - no more worries about dirt when these get tossed on the ground or roll under the seats in the car. Giving the one-piece valve quite a few vigorous shakes, I was happy to find that it really didn't let a single spill or leak at all. 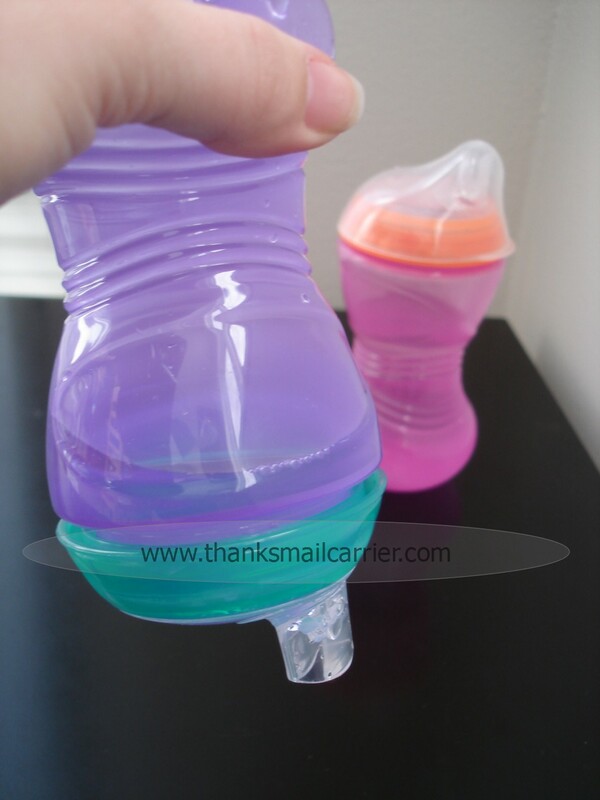 Considering that my girls put their sippy cups through quite a bit, the quality of Tommee Tippee truly is made to withstand kids of all ages. Plus, the fact that the valve is one simple piece means that removing and cleaning it is a breeze and there is no need to work to take things apart and put them back together after digging into tiny crevices to clean them out. Or, for even more convenience, these cups are dishwasher-safe, which is something that any busy mom can appreciate. Along with the fun, bright colors that Tommee Tippee is known for, the 10-ounce size of these L'il Sippees is just enough that we don't run out when these are brought on-the-go. However, the full line of Tommee Tippee Explora cups range from small to large and come in a variety of stages for transitioning from infant to toddler so you can choose exactly what will work for you at each time in your child's life. Visit the Tommee Tippee website to find out information about all of their unique products and keep up with all of the newest developments by following them on Twitter and Facebook as well. For purchase information and to learn more about these great items, visit Babies 'R Us. We love our Tommee Tippee cups! Of course Zoe had to push the lid in, and I had to explain. I can't wait until sippy cups are gone. These truly are leak proof though. 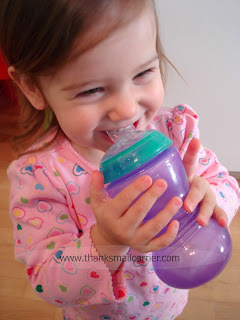 We LOVE LOVE our TT sippy cups!! It's the ONLY cup my daughter will drink of other than a regular cup! !